Established in 1798, Boodles is an exciting British fine jeweller with a truly individual personality and a committed focus to achieving excellence in all facets of design, craftsmanship and service. The company takes pride in its heritage – it has been steered by six generations of the same family for over 200 years. From its flagship Bond Street store, to branches throughout London, the North West of England and Dublin, Boodles’ jewellery designs are made by skilled craftsmen in the heart of London, with each piece finished to perfection. Boodles needed a managed network service provider that would look after every aspect of the company’s IT systems, as well as offer a full support service. 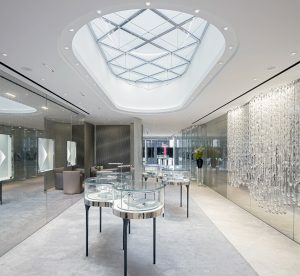 Vodat started working with Boodles in 2016, providing a Multiprotocol Label Switching (MPLS) connection in every store and ensuring they were all connected to the same private network. 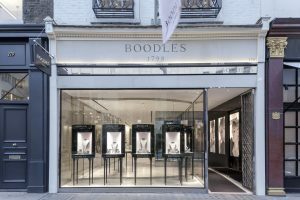 The system is a robust and reliable way for Boodles to run its digital services. The company required a support team that would be available 24/7, ensuring that its customers’ experience was never interrupted at any point of their journey. Vodat has an exemplary customer support team, including a dedicated Account Manager who is always available to assist. Vodat has continued to upgrade Boodles’ network, which has led to improved customer service in-store and greater staff efficiency.